Alistair Brownlee has been named as one of the nominees for the prestigious BBC Sports Personality of the Year award. He is the first triathlete to be including since the awards were launched in 1954, and is one of sixteen athletes shortlisted on Monday during the One Show. Public voting will decide the winners at the televised event on Sunday 18 December in Birmingham. 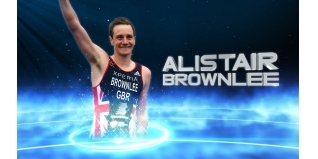 Brownlee features in a star-studded line up that includes Andy Murray, Mo Farah, Jamie Vardy, Sarah Storey and Nicola Adams. This summer Brownlee became the first triathlete ever to retain an Olympic title when he won gold ahead of younger brother, Jonathan in Rio. The brothers shot to global prominence following the ITU World Triathlon Grand Final in Cozumel, Mexico. The video of Alistair helping an exhausted Jonathan to the finishing line became the BBC’s most watched ever. Alistair could have won the race, but sacrificed that to help his stricken brother. Nicola Adams - Boxing, Gareth Bale - Football, Alistair Brownlee - Triathlon, Sophie Christiansen - Equestrian, Kadeena Cox - Athletics/Cycling, Mo Farah - Athletics, Jason Kenny - Cycling, Laura Kenny – Cycling, Andy Murray - Tennis, Adam Peaty - Swimming, Kate Richardson-Walsh - Hockey, Nick Skelton - Equestrian, Dame Sarah Storey - Cycling, Jamie Vardy - Football, Max Whitlock - Gymnastics, Danny Willett - Golf.